Mark your calendars! 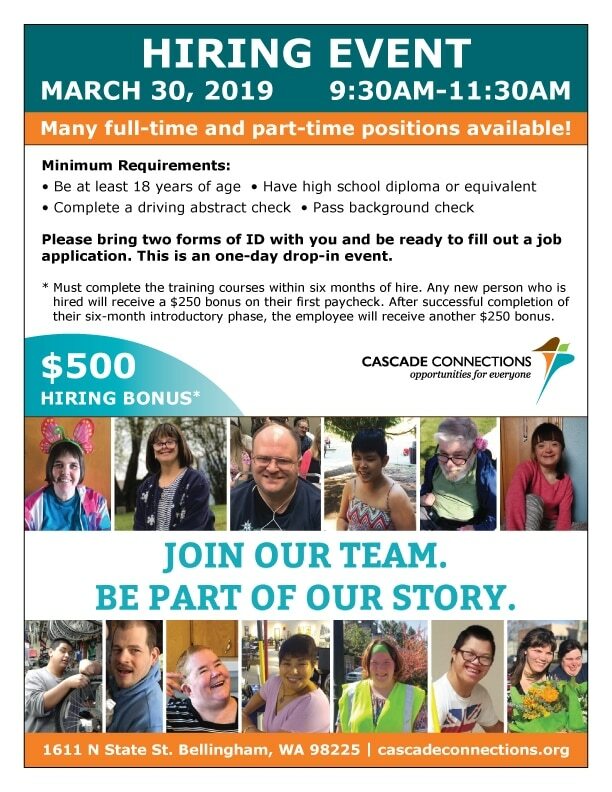 Cascade Connections is holding a hiring event on Saturday, March 30th, from 9:30am to 11:30am at our office at 1611 N. State Street in Bellingham. We will be interviewing for many different part and full time positions, and new hires are eligible for a $500 recruitment bonus. No experience is necessary, and everyone is welcome to come fill out an application. We hope to see you there. To see the current job openings, go to our Employment Opportunities page.